Obviously, this is the one you are most likely to start with. I realised, whilst talking to my friends, that I was reading Gaiman’s book incorrectly. As a heathen myself, I am acquainted with the stories and, let’s say, the actors. Gaiman’s version is definitely not academic research or even an attempt to explore the mythology deeper than on the superficial level. It’s pure entertainment. So once I got over my own pretentiousness, I re-read it. Gaiman limited the number of myths he was going to re-tell, picking the most interesting (as in funny) ones plus the compulsory bits – the creation of the Nine Worlds and Ragnarök. Again, once I got over my own misconception that this is a book suitable for my research, I found myself enjoying most of it (even if I ground my teeth a few times). The most violent parts are stripped off the stories, or just alluded to. But what I found really interesting, and I am not sure whether that’s good or bad, is that I didn’t taste Gaiman’s special sauce. Norse Mythology feels to me like yet another way to re-tell the same stories. There are occasional sentences that help me realise that, yes, it was Gaiman who wrote the book, but in general I had a feeling that if the name on the cover was John Smith I wouldn’t have finished the book. Gaiman’s book reminded me a lot about my experience with the best hot dog stall in the world, which just so happens to be located in Reykjavík. We went. We bought. We ate. And I was strangely disappointed: the hot dog tasted like a hot dog. Yes, it was a very nice hot dog indeed, but when I heard “best in the world” I expected something more, even though I couldn’t logically explain what exactly. This was the feeling I had with Norse Mythology. Yes, it was a nice, entertaining book…but it said Neil Gaiman on the cover! Where’s my Mr Wednesday? Where are my Nice and Accurate Prophecies of Frigga? I wouldn’t be willing to give this book a score from one to five, because I am not its audience. I could have been five years ago. Now it’s a book I would recommend to a friend muttering “oh yes, Thor, the one from the movies, with the blonde hair, rescues Natalie Portman, has a really good chest”. Who it isn’t for: People who already know the myths and expect something extra. Daniel McCoy has a fantastic website, Norse Mythology for Smart People. When I bought the book I didn’t actually realise it was written by the same person until I was googling something and saw the cover displayed on McCoy’s website. If I hadn’t already bought the book before, I would at that point. McCoy did his research and did it well. He explains what he feels was added by Christians later, and tries to strip those bits off. There’s a bit of historical background added, which I found very valuable, even though I felt McCoy spent a surprising amount of time hammering the rigidity of gender divides into the reader’s (i.e. mine) head. He even quoted an anecdote I’ve never seen or heard before, about king Harald Fairhair (from The Saga of Harald Fair-Hair which is an easy title to remember) murdering his own son for practising seiðr, a form of magic considered feminine. 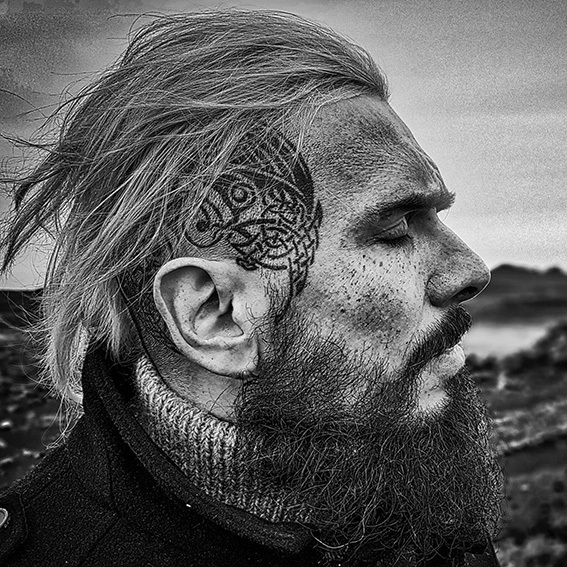 There’s a lot about Viking honour being strictly related to how traditionally masculine the person in question was, which is not something I could say I found in many other sources. It’s quite difficult to ask people who lived over a thousand years ago and left very little evidence for future archaeologists how they really felt, so mind McCoy’s bias, mind mine, read at your own peril, and make up your own mind. The main problem I have with Daniel McCoy’s book is that it’s too short. The initial part, the one describing historical background feels well written, informative, gives me fresh meat to bite into. The myths themselves, however… Where Gaiman elaborates or even adds bits that I don’t remember being present elsewhere, McCoy goes through the stories at the speed of light. At the same time, where Gaiman writes things that directly contradict themselves and doesn’t bother with a word of explanation, McCoy devotes space to various theories related to those exact parts, attempting to make sense of them. In a way, those two books would make a great box-set. My favourite part is that McCoy agrees with me on what I feel is an important topic. The story of Ragnarök plus the stories of Baldr himself clearly suggest that after Ragnarök destroys everything, a few Gods will emerge. They will be led by a long-haired, peace-loving hippie called Jes– damn you, autocorrect! Baldr. Neither McCoy nor I believe that this was something Viking bards came up with by themselves. McCoy included two different versions of the story describing Baldr’s death. The one that always bugged me features the destruction of everything, followed by re-emergence of a green, happy planet. The planet, ruled by a beautiful, white-clad, long-haired God representing love, light and goodness, shall be repopulated by two people’s offspring. 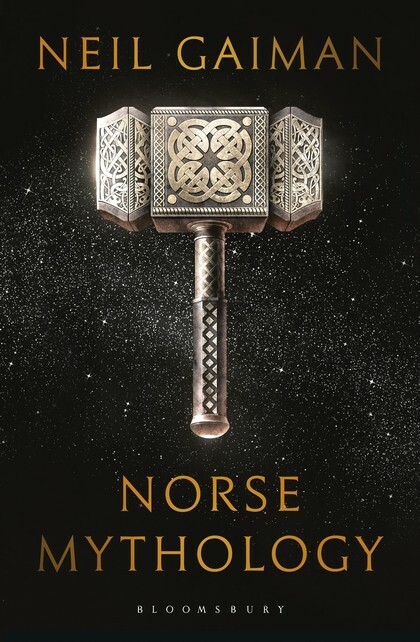 Whilst reading this for the first time I had an uneasy feeling that a part of “converting” Norsemen to Christianity was adding the handy explanation that their Gods were now gone, but there was a new one, son of Odin himself, one that died and returned to life. Who is it for: Someone who read Gaiman and feels like finding out more without having to go through too many long academic words. Who it isn’t for: People who want much more. This would be my recommendation. When I originally tried to find out as much as possible, I complained to my heathen friend that Prose Edda and Poetic Edda brought me nowhere but to migraine-land. “I’d like to read a Norse Silmarillion,” I complained bitterly. “Something that’s written in English I understand and doesn’t require me to stare at words wondering what they mean.” I was very surprised to discover that such a book existed, my friend had it, I borrowed it, and when I got about halfway through I returned it and bought my own copy. Half of the book are the actual stories; the other half are explanations for choices made (sources often contradict themselves, some parts are clearly added later – this is what McCoy also points out, although in less detail). Crossley-Holland definitely has an agenda, but he’s clear about it. If he had made a particular choice, reasoning for it is explained in the notes. This works for me really well. 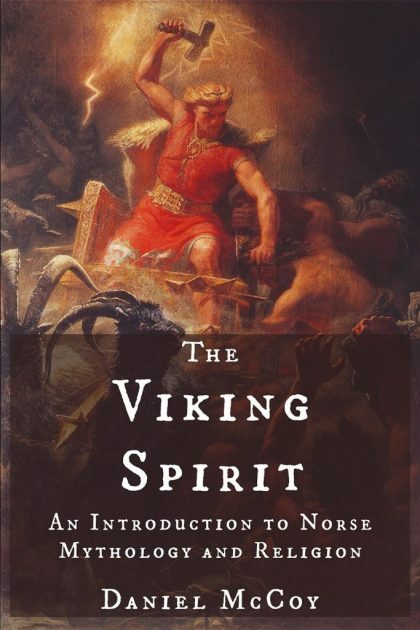 Many other authors (I am not talking about McCoy here, there’s a lot of very ugly “Asatru” literature) bend the myths and the Gods in ways that fit their views, then present the results in authoritative “I know best” tone. 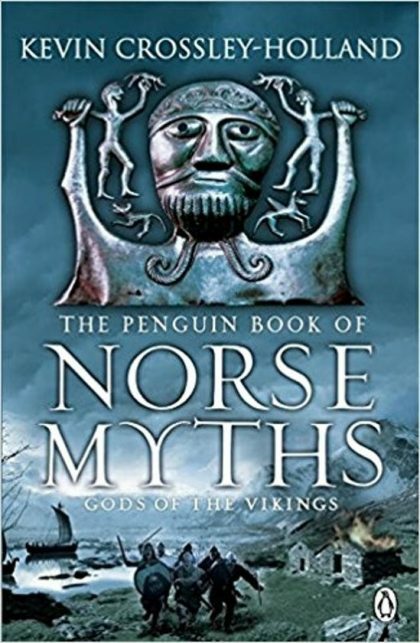 The Penguin Book of Norse Myths never goes there. The author always explains why he decided to distil this particular version of events from the scarce and conflicting sources. He also gives a good explanation as to why Saxo Grammaticus and Snorri Sturlusson wrote the same (technically) sagas in such different ways. Crossley-Holland draws his own conclusions, but doesn’t limit the reader to doing the same. Crossley-Holland’s book is perhaps the most academic out of the three. It is also the first one I read, which perhaps set unrealistic expectations in me when I was buying Gaiman’s Norse Mythology. You could say I knew too much. I expected a Gods-know-what type of feast and got the best hot dog in the world. To follow up on this admittedly clunky metaphor, Crossley-Holland wrote a book which could be compared to a very good restaurant that you must wear a suit and tie to, and waiters will judge you silently when serving you Michelin star dishes. But you know what? Sometimes the best hot dog in the world is exactly what you want and there’s nothing wrong about it. Warning: an illustrated book by Crossley-Holland, “Norse Myths: Tales of Odin, Thor, and Loki” exists. From what I can tell – I haven’t bought it – those are not the same. This book has 240 pages, many of which are going to be the illustrations. If someone insists on sending me a free copy I promise to review it on the blog, though. Who is it for: beginner heathens who outgrew both Norse Mythology and Wagner’s Vertical Opera, writers doing research, people who like Michelin star restaurants more than hot dogs. Who it isn’t for: casual watchers of Marvel movies and Vikings TV series. Am I an all-knowing Viking bard now? 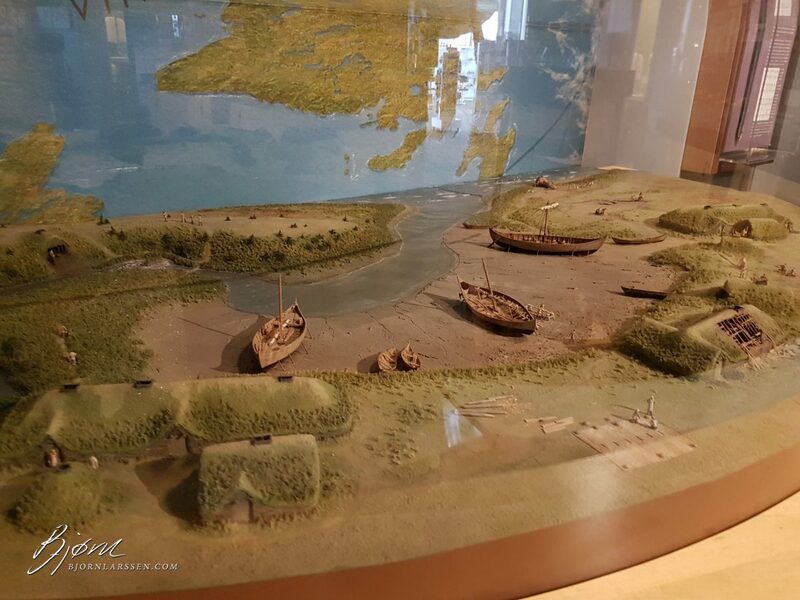 To begin with, the Norsemen didn’t produce their own version of The Bible or Qu’ran. The sources we have were written down based on stories that were repeated through generations for hundreds of years – and then had an additional Christian filter applied. As I mentioned above, each writer is likely to approach them differently. There is no definitive version of anything, even if you dig deeper than Snorri and Saxo Grammaticus. The stories (“Saga” in Icelandic means “story”, by the way) were alive when they were being told. They stayed alive as generations passed. They are still alive today. Even Christianity, which is supposed to be all about the Holy Book, has Catholics, Protestants, etc. fighting about who is the best at interpreting God’s words. We don’t have a Viking Bible that we could fight about. There’s a good chance that McCoy is correct when he goes on and on about how being called effeminate was the worst insult in the Viking world. There is also a good chance he isn’t. There’s nobody we can ask. I’m leaving aside academic books, those written by modern heathens (Asatruar) for other modern heathens, etc., as they are beyond the scope of this already too long post. Anything you’d recommend I read or review?